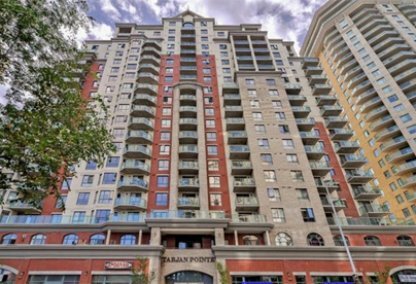 The Tarjan Pointe is a desirable condominium building located at 111 6 Avenue SW, Calgary Alberta, T2P 5M5, and known for its beauty and convenience. 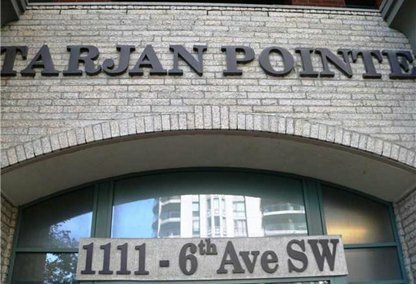 Tarjan Pointe has become so much more than a residential tower; instead, it's a collection of condos that offer the absolute best in downtown living. The modern Tarjan Pointe building was built in 2005 with state of the art fixtures, sprawling floor plans and wonderfully large windows. The C-Train LRT stop near the condominium allows residents to enjoy a free downtown line and makes this building a popular choice with downtown commuters. Explore Tarjan Pointe condo listings below or read on to find out more about the Tarjan Pointe lifestyle. Tarjan Pointe stands at 20 floors and has 285 living condo units. The building is close to numerous grocery stores and is well within walking distance to the famous Eau Claire Market. The spectacular views of several wonderful monuments and landmarks from the building are breathtaking, ranging from the river and river pathways to the majestic Rocky Mountains. The North view of the Bow River is awesome on 6th Avenue, while incredible views of the sunrise and sunset are presented in a few of the available suites. Tarjan Pointe's south facing windows overlook the Kerby Centre and C-Train. The building's oversized windows allow unit owners to enjoy all of these views and the intrinsic natural lighting every day, for as long as possible. The Tarjan Pointe offers an ideal home for working professionals who need to commute downtown. The fully furnished suites come with fine, modern executive-style furniture including a queen sized bed, pull-out sofa and home starter kit. Each Tarjan Pointe condo offers a fully-equipped kitchen fitted with an efficient dishwasher and dryer, a garbage disposal system, microwave and fridge. Carpeted floors and gorgeous tilework can be found throughout the building, while the functional, well-furnished lobby and welcoming water feature offer a comfortable area for relaxation. The Tarjan Pointe is among the few buildings that offer unlimited long-distance calling, full cable TV and high-speed internet. The Tarjan Pointe has a fully equipped exercise room, which is both spacious and cool. There is also bicycle storage available and 302 heated underground titled parking stalls, which are separated from the public parking area by an electronically operated security gate. Several elevators and wheelchair access is also provided. For additional security, residents can set up their own telephone entry system using either a local landline or cell phone number. 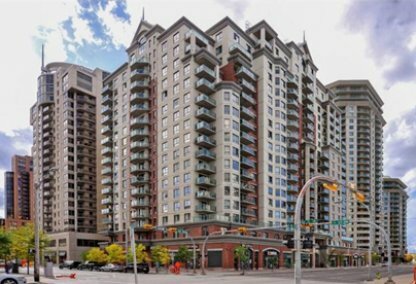 View Tarjan Pointe condos for sale & explore other phenomenal Calgary condominiums with Justin Havre & Associates. Contact us today to get started.